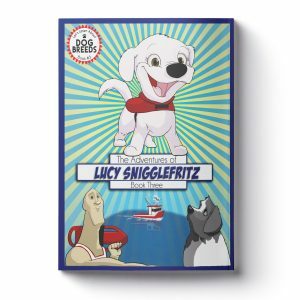 This bulk pack includes the paperback copies of Lucy Snigglefritz Book 1 and 2, colouring Books 1 and 2, and a page of stickers of characters from Book 1 and 2. 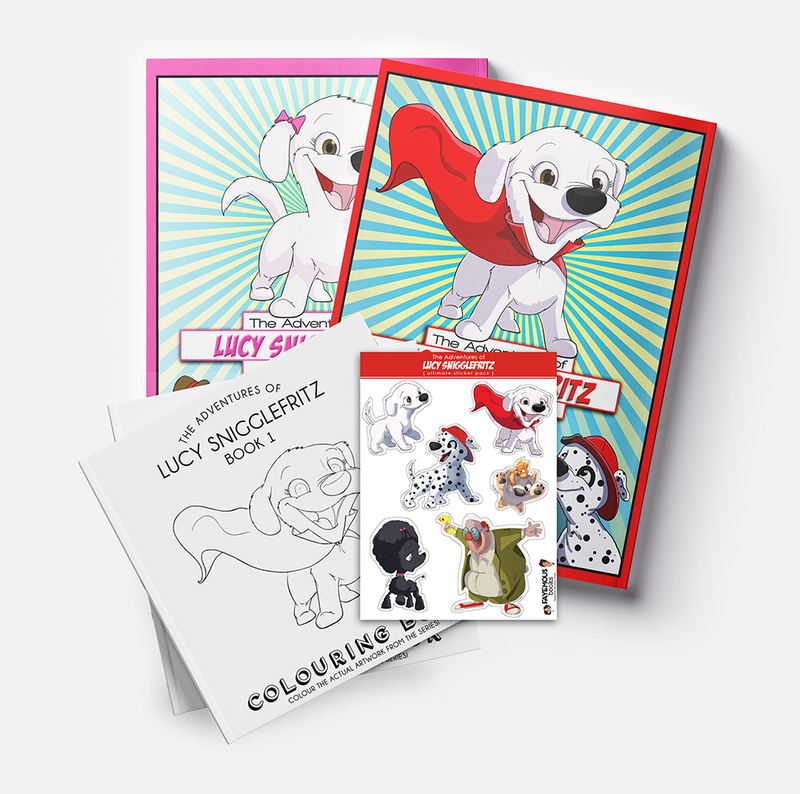 The colouring books are softcover, measuring 8″ x 8″ and stapled in the middle. 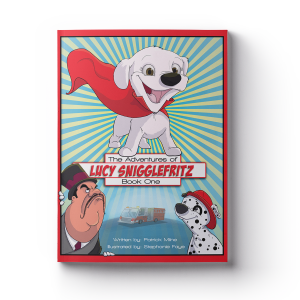 Each book is 12 pages total with 9 pages of line art from the actual book series. Each of these has a caption below describing the scene. 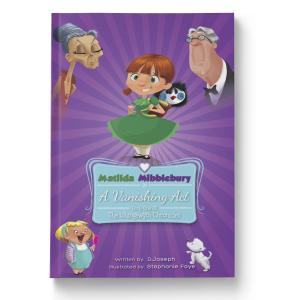 The stickers are professionally printed on glossy vinyl, and each character is die cut and can be removed from the page. The stickers can adhere to paper, plastic, windows and more. 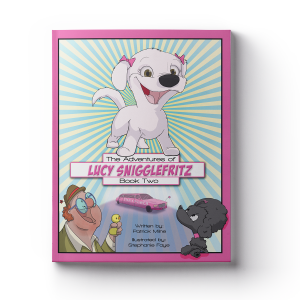 Fayemous Books is an independent publishing company started by a brother and sister which aims to create entertaining and visually-inspiring books for kids and adults alike.